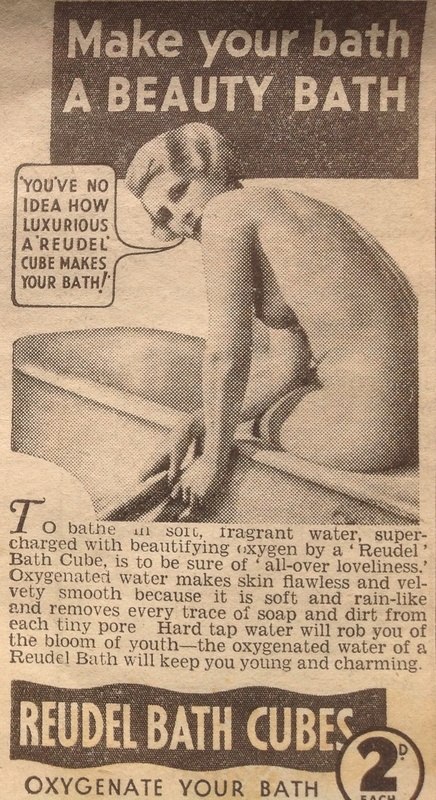 You see my dear ladies and occasional gentlemen, this was all you needed to make yourself beautiful in 1935. A BATH! Who new that HARD TAP WATER would ROB YOU OF THE BLOOM OF YOUTH. These wondrous BATH CUBES super-charged the water with BEAUTIFYING OXYGEN giving you ALL OVER LOVELYNESS. I Really must have a word with my dear friend Veronica to see if her BATH BOMBS are SUPER-CHARGED.